It is black vinegar which fermented organic brown rice slowly in a pot over 5 years. It was born from "Yushita" stuck to materials, manufacturing methods and tradition. 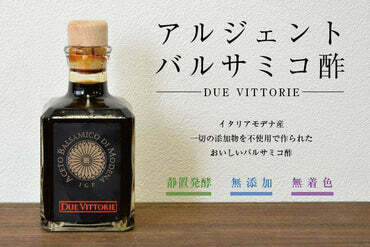 It is a cooking black vinegar with a ripe ripe taste that only genuine things have, and as you can use it for everyday meals, it has also won the first prize at the exhibition sponsored by the Japanese vegetable sommelier association to further refine the taste . The taste of commitment is compatible with any dish, and supports beauty and health from eating habits. Fukuyama town in Kagoshima prefecture, which is regarded as the birthplace of black vinegar. In the Edo period Chinese traders introduced the method of producing black vinegar, the fact that the merchant of Fukuyama town started making Japanese black vinegar. Black vinegar using raw materials of good quality and natural spring water in Fukuyama town firmly protected from such old-fashioned manufacturing methods. Yoshida was born as a maker of thought and traditional techniques condensed. What is the daily intake of black vinegar? Please drink black vinegar roughly around 15cc ~ 30cc a day. If you drink as undiluted solution, the acetic acid contained in the vinegar may hurt your throat and digestive organs so dilute it about 10 times and drink it. Here I will show you how to drink black vinegar deliciously and safely. * Depending on the product, it may be diluted to make it easier to drink. Please drink according to the instruction manual of goods. Many natural conditions such as air in Fukuyama town where 200 years have passed, cool in summer, warm climate in winter, good quality water produced by Shirasu plateau, geothermal in Kirishima volcanic belt, raw materials of commitment, long-term maturation. "Takashida" that takes time and takes all the time to build up. After carefully selecting the finished black vinegar by appraisal, shipping will be 80% of the whole. "Yushita" to reach customers' hands is the highest quality genuine article. It is fermentation ripening period to turn black vinegar into black vinegar. The longer this maturation period, the deeper the color becomes, the more the flavor becomes deep. Particularly commitment in Yoshida is exactly this maturation period. 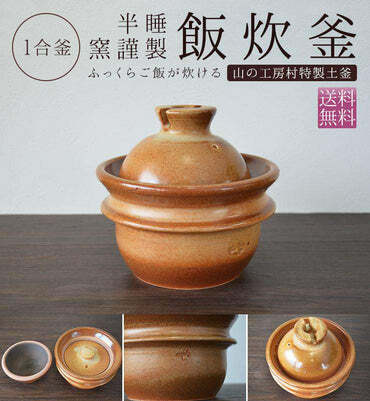 In rice vinegar making using a machine, fermentation aging is performed in an environment controlled temperature and humidity, so it can be manufactured in a short period of time, but in Fukuyama it fermentation aging with only Aman pot placed outdoors. The fermentation aging period of commercially available black vinegar is generally half year to one year. However, Fukuyama black vinegar has been aged over 3 years. What makes it possible to commit to this Fukuyama black vinegar is an Aman fountain owned by this brewer. In Kagoshima Fukuyama it boasts the largest scale of 20000 urns. These are not to make a large amount of black vinegar, but to maintain this fermentation ripening period. It is a recipe that goes against the era when mass production is demanded, but it makes the taste of "Shikita" completely different from other black vinegar. The pot of Fukuyama black vinegar uses Shigaraki ware etc. In the Fukuyama town, we call "Kamome urn" which fermented and aged black vinegar, "Aman font". 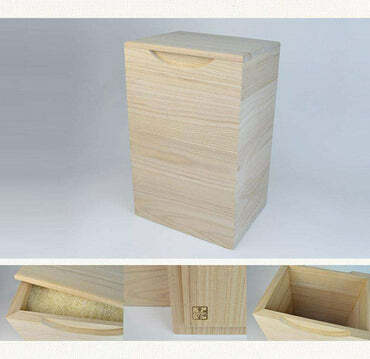 Once it is charged, it will be work only in the Aman font, so what kind of pot is used is an important choice. In the summer pass the heat of sunlight evenly throughout the urn uniformly so that it will not get too cold in winter. If you make a mistake in choosing an Aman font that correctly controls the activity of microorganisms that make black vinegar, such as koji and lactic acid bacteria in the pot, it may even fail to make black vinegar. Akaike has used various Aman fonts so far and has experimented with which pot can produce delicious black vinegar. As a result, Akaike currently uses Shigaraki ware pots designed and custom-made by themselves. And, "To make more delicious black vinegar", we are still pursuing the best pots today. Brown rice which influences the taste of "Shikida" must contain a lot of umami ingredients. We use good quality domestically produced rice and you can see that it is completely different from other brown rice at the first mouth. In addition, brown rice is certified organic JAS, it is also one of the attractions that you can take safely. A paddy field, "hidden rice field" that the samurai samurai made to escape the payment in the Edo period, which is also the origin of the name "Yoshita". The spring water of "Yoshita" turns from there has a peculiar taste of goodness and mellowness. The family of Akaneke Akira is a venerable Koji shop in Fukuyama Town. We emphasize fermentation which accounts for half of the brewing process, and use the "supreme koji" which tried and errored repeatedly. All work after loading raw materials is made in black vinegar done in a fry pot. Aman pot (Kome pot) is best suited for outdoor fermentation because the pot itself absorbs solar heat, convection and temperature regulation. Far infrared radiation emitted by the fountain adds umami to vinegar. The Aman font will become a good fountain as natural yeast and acetic acid bacteria adhere as you use it. The longer the ripening period of black vinegar, the more amino acids will be, but it will take more effort and time. While fermentation aging period of common black vinegar is from 6 months to 1 year, we are selling only those aged for more than 3 years at our brewery. The Tokimeki Seasoning Championship is a commemorative event held in commemoration of "Seasoning Day" on November 3 every year. We received a honorable prize from among hundreds of popular seasonings all over the country under severe judgment. Not only high quality but also the design of packages and the traditional manufacturing method that I did not care about were highly appreciated. Its fame has spread to airlines, and the Yushita product series is also adopted for ANA international flight meals. In recent years its high health benefits have become a topic, and the custom of drinking black vinegar is also spreading to the general family. But who actually does not know the health benefits in practice is mostly not? Here I would like to introduce the effect obtained by drinking black vinegar. In addition to the blood smoothness effect of vinegar, amino acids contained abundantly in black vinegar There is an effect that makes the blood flowing inside the body smooth. People who like greasy meals such as ramen and yakiniku seem to have blood in many cases. By improving the blood flow of the mushrooms It can prevent lifestyle diseases such as high blood pressure and arteriosclerosis. In addition, lysine · leucine · methionine contained in black vinegar prevents cholesterol and neutral fat from accumulating in the blood vessel. Common amino acids (leucine · isoleucine · valine) are also included in black vinegar and are useful for recovery of fatigue after exercise. It is said that it has an effect on upgrading endurance, and it is said that it is effective to drink before exercise. In addition, it is said that citric acid and polyphenols contained in black vinegar relieve muscle pain and remove fatigue. Since black vinegar contains citric acid and amino acid abundantly It has the effect of promoting fat burning. These two nutrients make basal metabolism active It is said that the effect of a diet can be expected. Especially for amino acids, it is a raw material to work the enzyme "lipase" which decomposes body fat, so it will efficiently decompose body fat. If you take black vinegar while exercising, you will decompose fat more efficiently. Recent studies have found that the component of amino acid called glycine contained in black vinegar has a function to improve immune function protecting the skin. This immune function preserves the moisture of the skin and it plays an important role to protect the skin from external stimuli. In addition, black vinegar contains components of aspartic acid, tyrosine, serine, which are essential components for the birth of new skin cells. Black vinegar contains plenty of essential ingredients to keep your skin youthful. Melanoidin contained in black vinegar has a strong antioxidant power. Antioxidant action refers to the action of preventing body oxidation that causes aging. It is said that vinegar originally has antioxidant effect, but black vinegar is said to have strong effect and high effect, in particular. It is said to prevent and improve the aging phenomenon by antioxidant action. Black vinegar is also very recommended for those who thought that I felt a little older recently. It has the effect of softening red blood cells hardened by amino acids contained in black vinegar. When the erythrocyte becomes soft, blood flows to the extremities of limbs and it is effective for improving coldness. Originally raising metabolism to black vinegar, it has an effect to improve blood flow It also leads to improvement of nature and coldness. Black vinegar activates the function of the large intestine and has the effect of prevention and improvement of constipation. Rather than forcibly cure constipation with medicine, because it cures it by naturally improving the activity of the body, it has less burden and there are no side effects, so we can improve our constitution safely and safely. At the same time it will also prepare the intestinal environment, so you can be beautiful from inside the body. Compatibility of eggplant with pork It is a recipe using black vinegar in patchy. Ideal for side dishes, chopsticks advance. Cut the eggplant in half in half and cut it in a bite, and put it in water. Cut peppers · onion into bite-sized pieces. Pork is also cut into bite-size, salt and pepper and rubbing. Pull a little more salad oil in a frying pan and stir - fry the eggplant with water. When the eggplant is burned with a fire, add it and stir - fry it. Add fresh green peppers and stir - fry it, once the fire has passed, take it out once to the vessel. Pull the salad oil in the same pan and fry 2. When fire passes, add 4, black vinegar, soy sauce, sugar and stir together. If you thicken with thick potato starch that you like by your liking, it will be completed. Delicious health preserved food of nutritious high-grade vinegar and kampo. Ideal for snacks. I will wash and pick up the kampo. Then put it in the water overnight. Put the moisture in the pot, add black vinegar and over medium heat. Sometimes it mixes and spreads black vinegar throughout. Boil for a while even after boiling. When the crime starts to crack, put honey. Sometimes, mixing, boiling for 30 minutes with a low heat is completed.